Mazal Tov to Marissa and her family!! 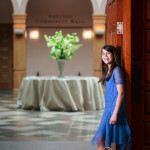 Please enjoy these highlights from Temple Emanuel in Newton Ma. and the Pinebrook Country Club in Weston MA. Big thanks to Jodi and Cindy at Siagel Productions, great job! !